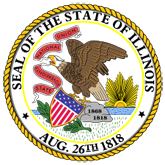 This booklet reflects new changes to the Illinois Governmental Ethics Act and reporting requirements for filing a Statement of Economic Interests. The booklet also outlines the State Officials and Employees Ethics Act, with new changes that took effect in 2009. Both Acts affect public employees and candidates for public office and should be referred to when preparing Statements.